Its Friday morning and yes we finally have a cold front. Its 55 degrees outside and I don't know of many of the saltwater angling population that is not happy to hear of that news. A cooling of our water temperature and some wind out of the north /northwest should certainly help. The whiting, jack, and croaker fishing has been pretty good the last few days. Fishbites and cut shrimp have been catching these fish at locations such as Stuart Beach, Tiger Shores, Normandy, and Middle Cove. 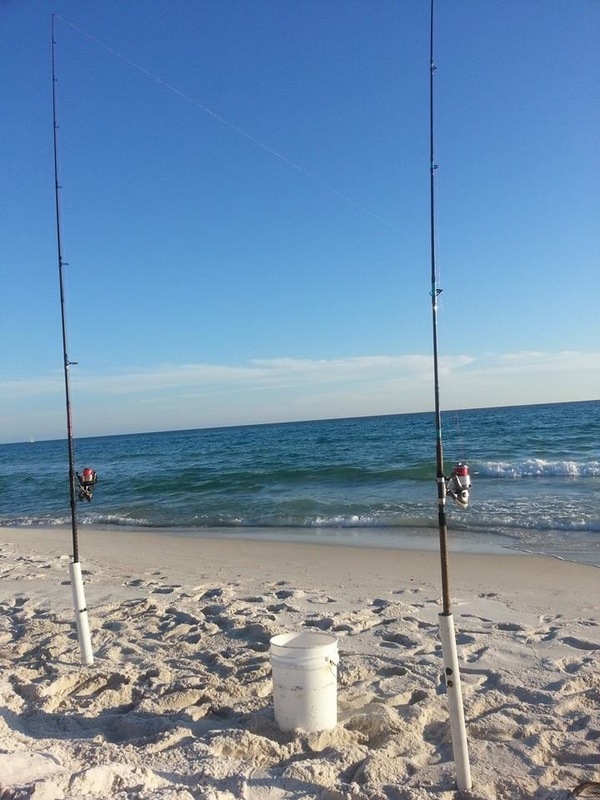 Anglers fishing the first trough, and depending on which beach you are fishing, at a distance of up to 50 yards off the beach, have been catching some nice whiting and croakers. I fished on Wednesday and started at Bridge Road in Hobe Sound at 7 am and ended up at Round Island, north of the of the Fort Pierce Inlet at 2 pm. I also stopped at Stuart Beach, Normandy, and Middle Cove. I was targeting pompano with the long rods and caught a dozen but threw back 11 of those fish. All of my fellow pompano fishing friends have been experiencing the same type of action but I feel this will change with this front. Bluefish, jacks, mackerel, blue runners, whiting, croaker and pompano should all be available as we head into Thanksgiving week. Good luck and catch em up.